7 Sicilian dishes you can’t miss this Summer – from restaurants to street food… Sicily has it all! If you are a food liver and have decided to visit Sicily this post is for you. We are going to show you which typical dishes you absolutely must try if you are visiting Sicily. 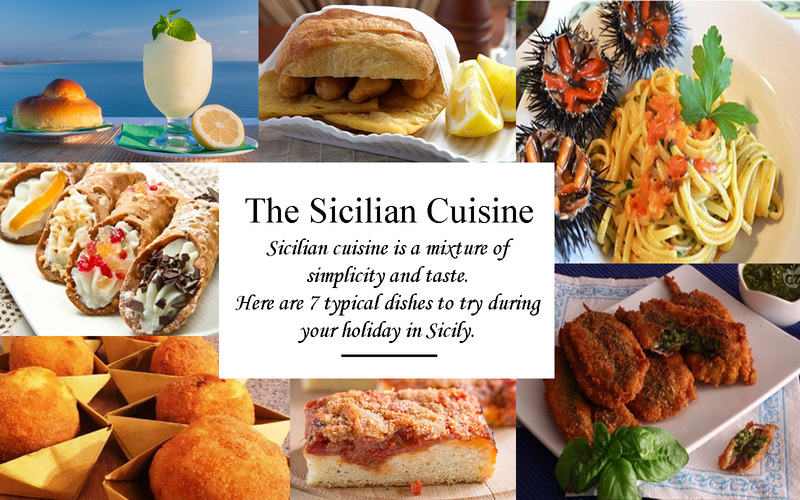 All of these dishes are taken from the traditional Sicilian cuisine and are excellent to be enjoyed during the hot Summer days. We’ve divided this article into two types of food, restaurant food and street food. because Sicily is a region where street food was common before it became fashionable. Enjoy the dishes and when you come back leave a comment about what you tasted. Sicilian street food is a must when you visit this beautiful region. The street food in Sicily has never been a momentary trend, but is a part of the tradition of Sicilian cuisine – in particular Palermo. Let’s not forget that Sicilian cuisine has acquired certain culinary particularities from many cultures that have inhabited the beautiful island in the past. It is said that the sandwich with spleen trace back to Jewish communities and that cannolo dates back to Arab presence in Sicily, Perhaps this diversity of ingredients is what makes Sicilian cuisine so tasty but balanced. Arancini is the most famous Sicilian dish which takes on different shapes and sizes. These are pieces of rice with a filling which can range from ragù and mozzarella to ham and mushrooms to spinach and ricotta etc. 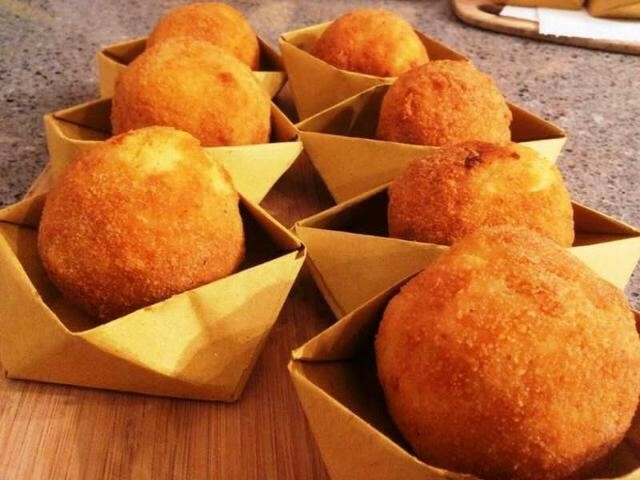 Arancini can be eaten hot or cold and that’s why it’s a classic in street food. A big advantage is that you can find them all over Sicily, so you can eat whenever or wherever you want. 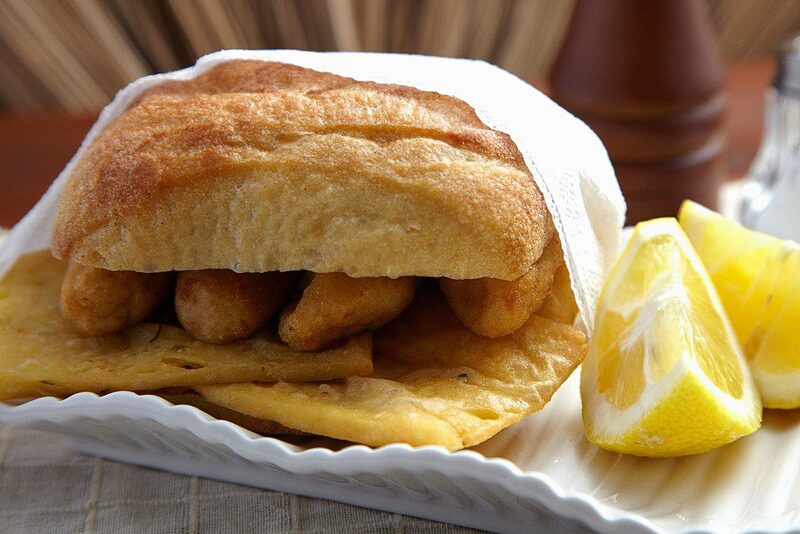 The sandwich with panelle and cazzilli is another Sicilian gastronomic specialty but you will find it easily in Palermo. The panelle are omelettes made from a batter consisting of chickpea flour which are cut into slices and fried in boiling oil. The cazzilli are very good potato croquettes. Everything is served in a homemade bed bread with the possibility of seasoning everything with a little lemon juice. 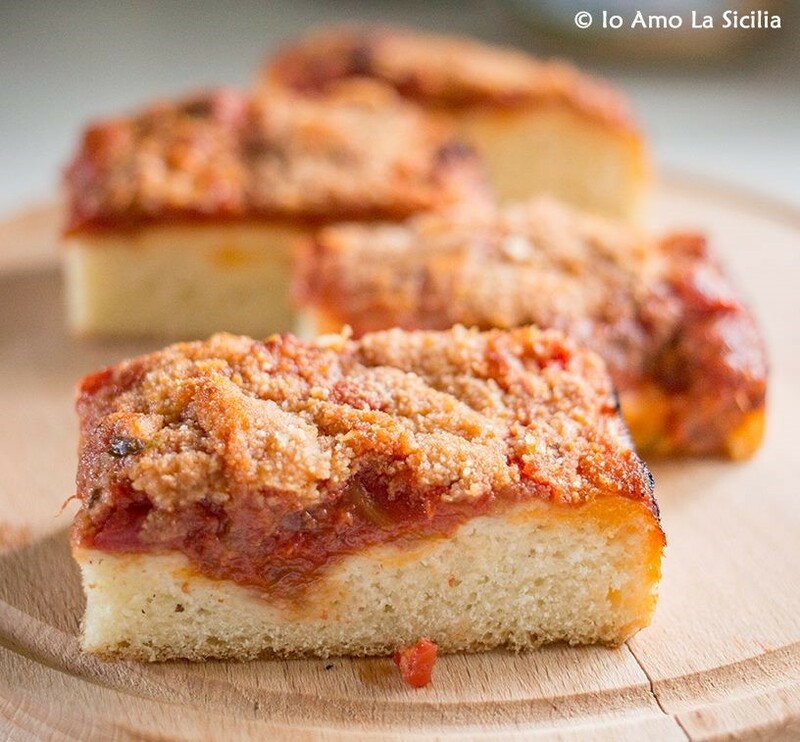 Another must try also found in Palermo is sfincione which looks like a soft focaccia with tomoato sauce on top and plenty of caciocavallo cheese. The sfincione is not to be confused with the original pizza of Naples, it is more a well seasons focaccia that satisfied everyone’s palate. Sfincione closes this trio of dishes closely linked to Sicilian street food. Dishes which serve as a snack on a hot Summer afternoon. Now it’s time to go to restaurant dishes because during your holiday you also have to put your legs under that table, do you not think so too? 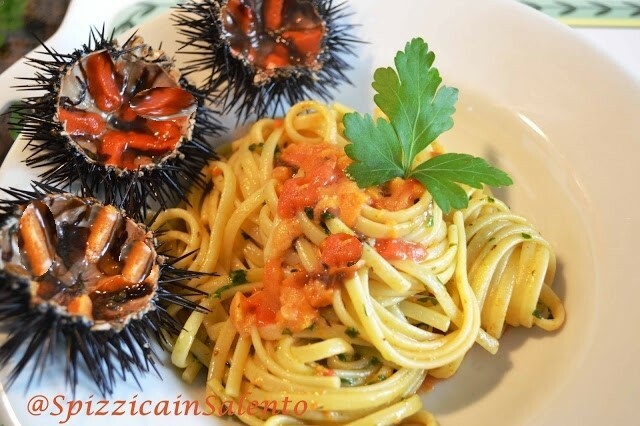 Spaghetti with sea urchins are very well known in Palermo and Sciacca. Sea urchins are very appreciated because they have a strong taste. This is the reason why we recommend trying a nice plate of pasta with this delicacy; you will try something new and it will win you over! Sarde a beccafico is a second course which is very tasty to eat in Summer. The dish is part of Sicilian cuisine but is especially easy to find in Palermo, Messina and Catania. This dish is a preparation of sardines rolled around a mixture of bread crumbs, parsley, minced garlic and pine nuts. And here is the dessert section which can be enjoyed both at breakfast and as a snack, The first gem is the famous granita with brioche – yes you heard that right! Many say that Messina and Catania are the best places to eat this, but we’ll let you be the judge of that. 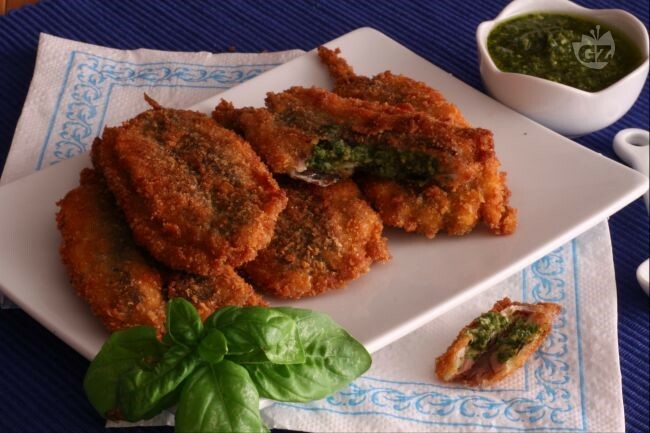 The fact remains that this particular Sicilian dish cannot be missed! 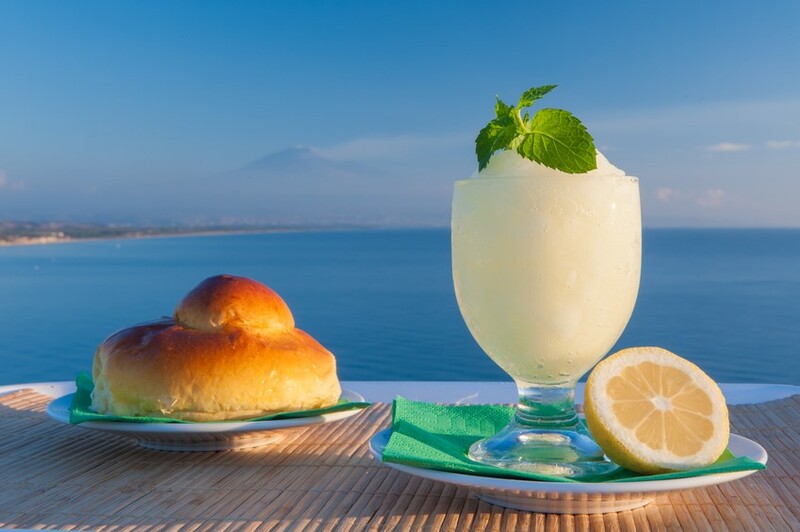 The taste of granita varies depending on the palate of the customer, although the classic tastes are; lemon, almond and coffee. 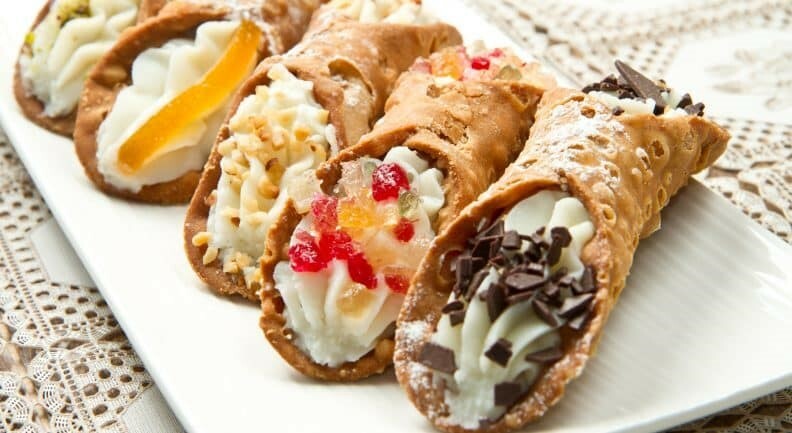 And now for the icing on the cake.. here is the Sicilian Cannoli! Traditional fried cakes, that were initially consumed during Carnival but then become indispensable to everyone. Yes this excellent Sicilian dessert can be tired abroad but once you try it in Sicily, you definitely won’t forget about it! The classic cannoli are fired and crispy cylindrical dough filled with ricotta cream and chocolate chips. The cakes are garnished with candied sweets and pistachios. This delicacy can be tried anywhere in Sicily, so be careful you don’t get addicted! WHERE TO STAY IN SICILY? Depending on the area, we can offer you the best hotels and resorts – all 4* & 5* to guarantee a holiday fit for royalty. One of the most famous cities on the island, Catania is located east of Sicily and overlooks the sea. A visit to the fish market La Peschiera is a must. It is a show that is a bit chaotic but is full of life, colours and flavours. If you are still undecided about where to stay, try to take a look at our large selection of 4* & 5* hotels throughout Sicily. We are sure that you will be able to find what is right for you! Is a desert wet or dry? (required) Why ask? Previous← The dream destinations for holidays chosen by celebrities.